“Still Life with a coffee-pot”, by Lyudmila Savelyeva, 2017. 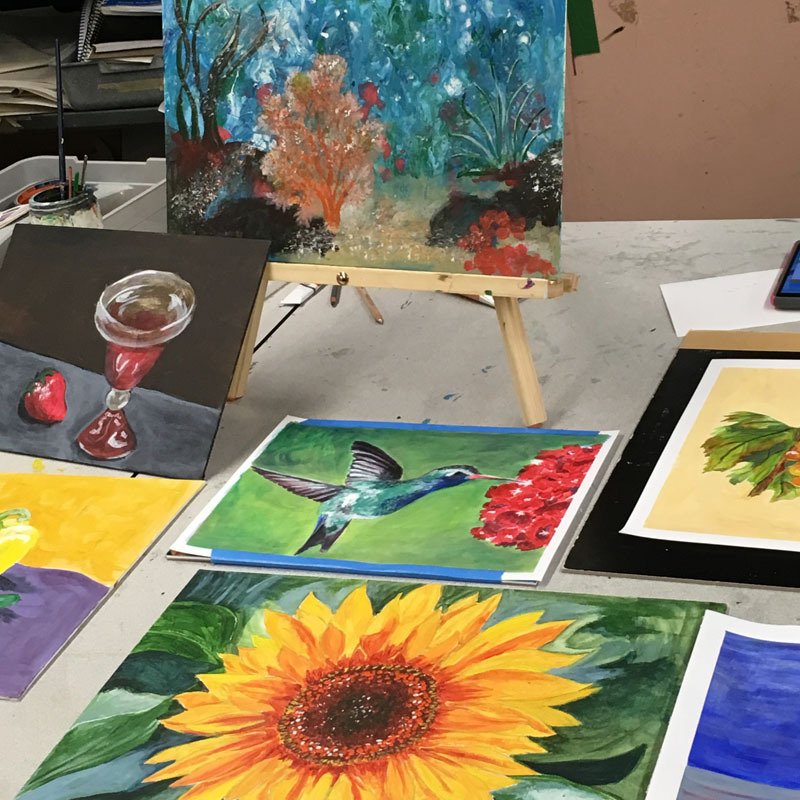 Painting classes for adults are open to everyone who wants to hone their skills in oil and acrylic painting. All levels are welcome. We gather at my Belmont studio, on weekday evenings. 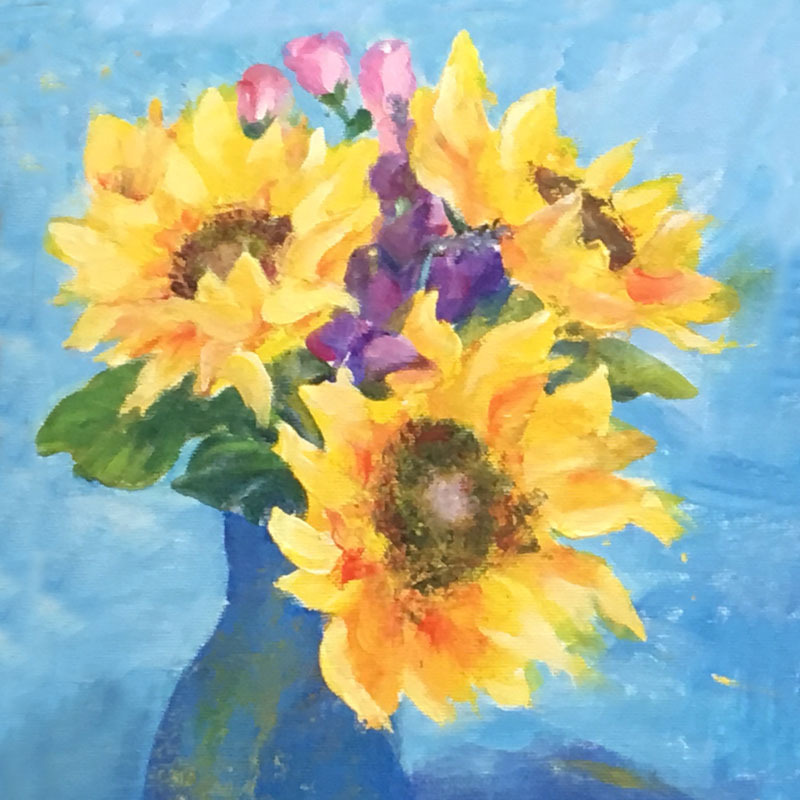 Acrylic is an ideal medium for beginners as well as for the experienced artists who like to experiment with different techniques. These paints produce bright bold colors, and a wide range of textures and effects. 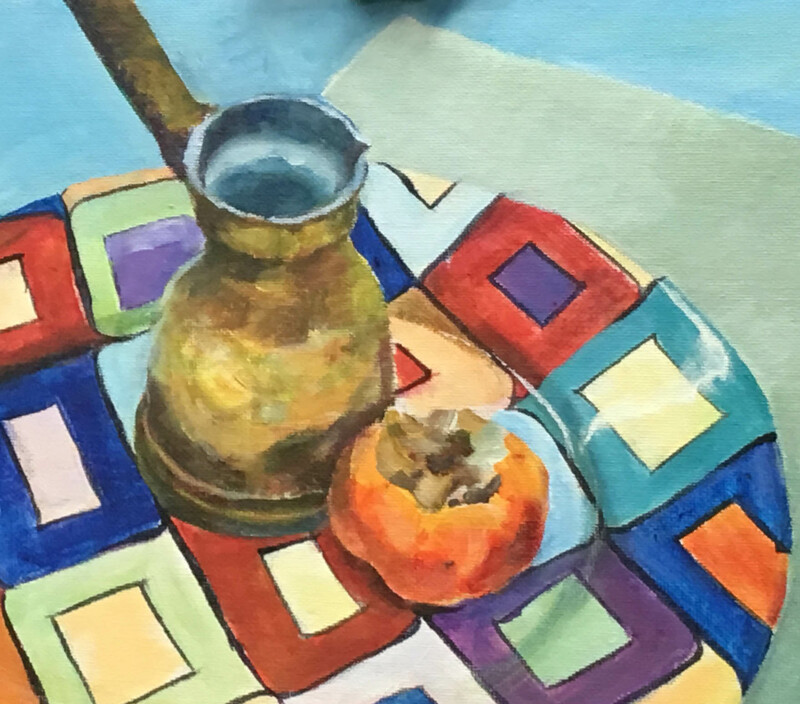 As to oils, we’ll learn the fundamental skills of oil painting, atelier-style techniques, and the basics such as color-mixing, layering, brush technique and more. 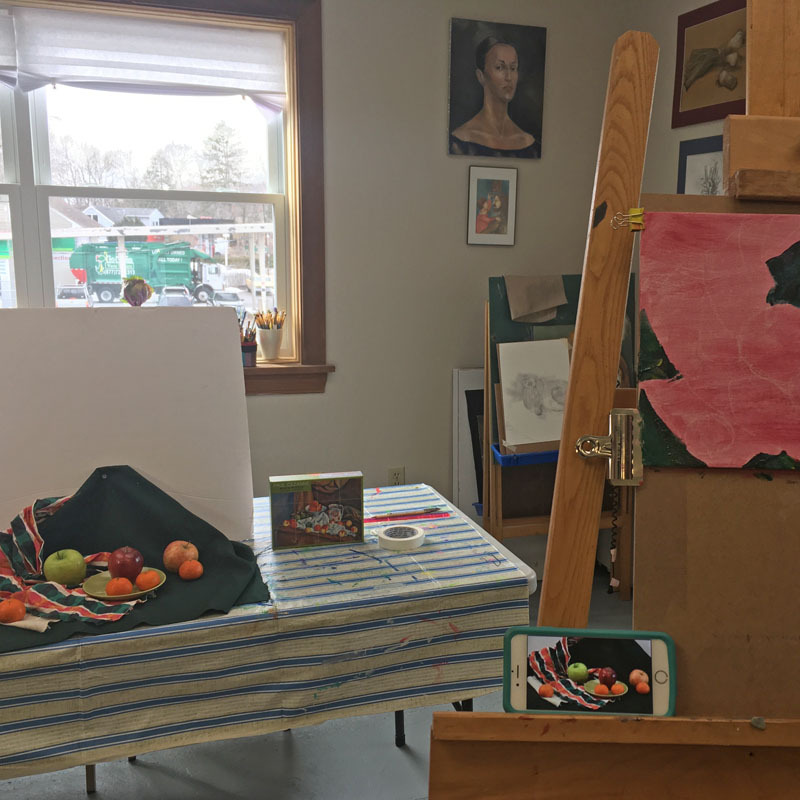 We’ll do still life, landscapes, genre painting and botanicals, working both from observation and photos, on canvas or paper. You’ll have a chance to work on your own projects and get professional instruction. 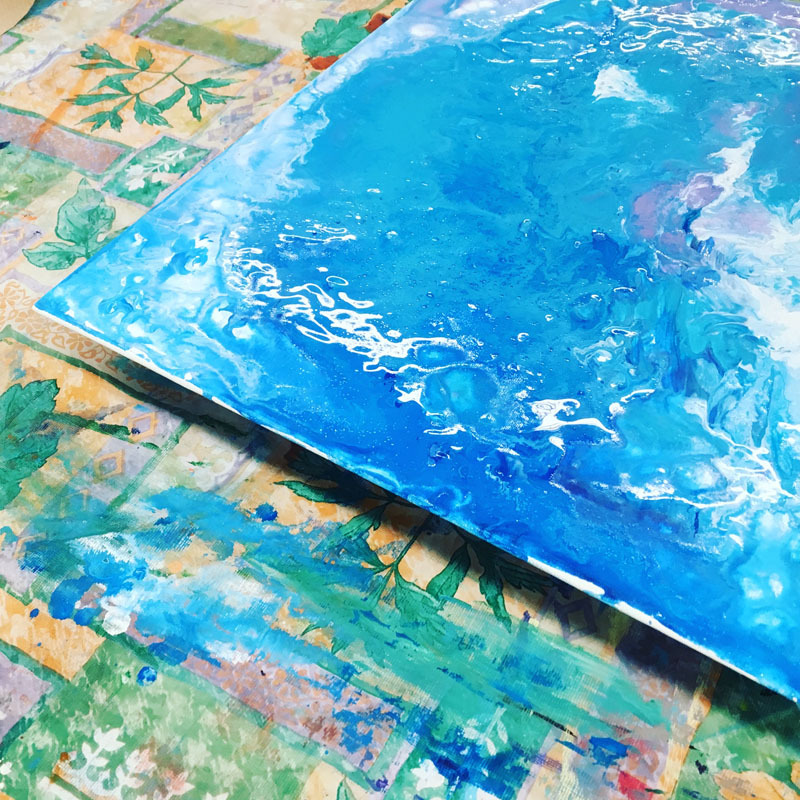 Alternatively, you can choose to have a guided lesson in painting, with the subject chosen by the instructor. I provide easels, palettes, color wheels, handouts, limited number of paints and paintbrushes. Generally, buying paints (especially oil paints) and painting surfaces is the student’s responsibility.